Sea Otter 2018 is underway, and for the next few weeks, we will be bringing you a look at some of the products that caught our eye during the annual trade show. 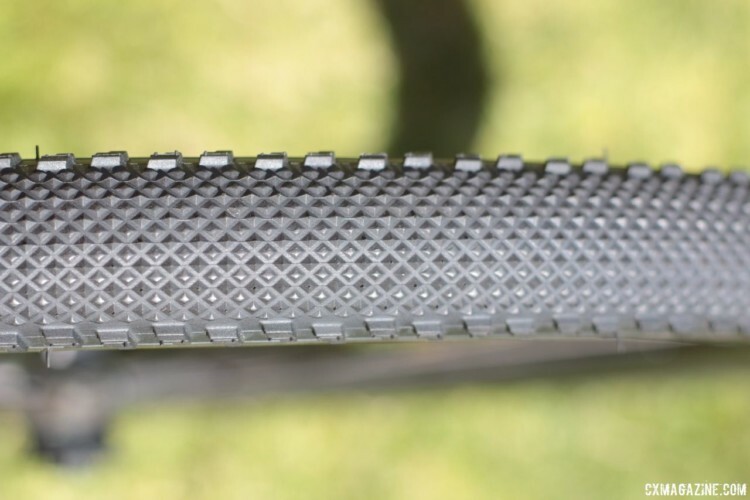 This post looks at a new gravel tire from IRC. Past experience has shown IRC’s tires are well-suited for gravel and mixed terrain riding. 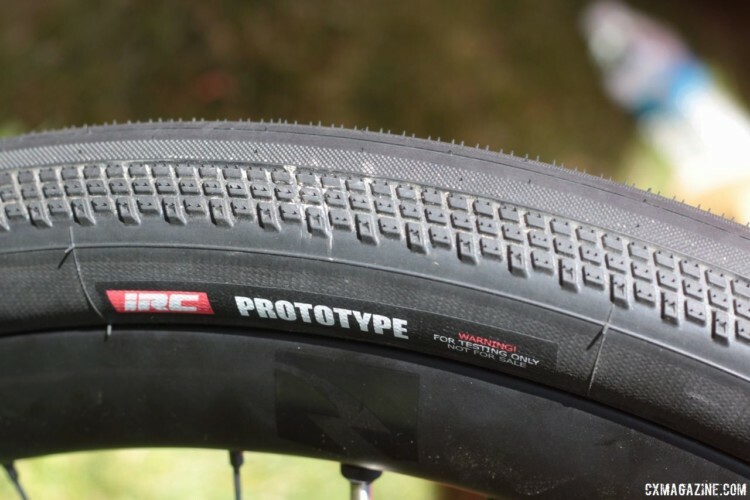 We highlighted the Serac Sand cyclocross tire in our pave tire roundup and Jake Wells said he has a number of IRC tires he chooses from for his gravel riding. 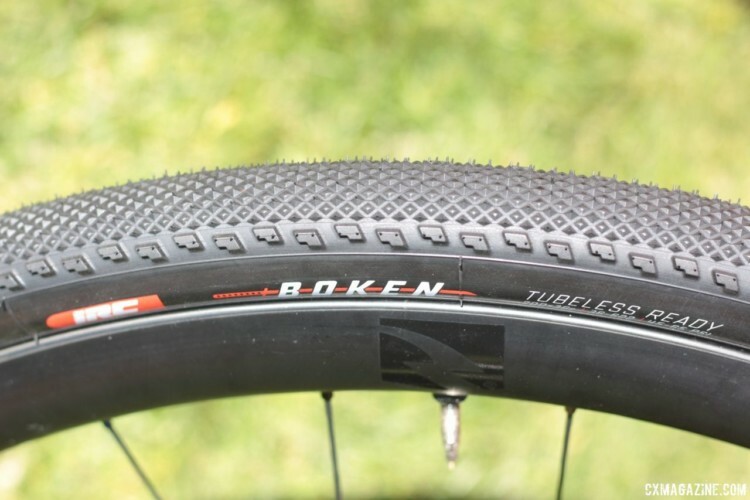 IRC’s new Boken gravel tire is the company’s new answer for high-volume rough road riding. The Boken, which is Japanese for sword, will first be available in 36mm and 40mm options for 700c hoops. The Serac Sand tread inspired the new Boken tread. The wide tire has a diamond pattern down the center and knobs on the side for grip when conditions get rougher. The 36mm tire has a claimed weight of 390g and the 40mm is 420g. We measured the demo tires at Sea Otter and found they inflate true to size on a 23mm internal width tubeless rim. We also saw a prototype for 650b models of the Boken. IRC plans on releasing 650b x 43mm and 47mm options down the road. As the photo below shows, the 650b Road Plus model will have a different tread pattern. The IRC Boken tires will retail for $79.99 each. Stay tuned for much more coverage from the 2018 Sea Otter trade show and bike races.